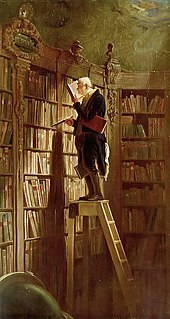 The Bookworm, 1850, by Carl Spitzweg. Perhaps you think that a man who consecrates his life to research leads a spiritual life and that his soul lives in / larger measure than anyone else’s. But such a life is also external, just as external as the life of a man who lives for outer things. To be sure, such a scholar does not live for outer things but for outer thoughts-not for himself but for his object. If you say of a man that he has totally lost himself to the outer and wasted his years in excess, you must also say the same of this old man. He has thrown himself away in all the books and thoughts of others. Consequently his soul is in great need, it must humiliate itself and run into every stranger’s room to beg for the recognition that he fails to give her. Therefore you see those old scholars running after recognition in a ridiculous and undignified manner. They are offended if their name is not mentioned, cast down if another one says the same thing in a better way; irreconcilable if someone alters their views in the least. Go to the meetings of scholars and you will see them, these lamentable old men with their great merits and their starved souls famished for recognition and their thirst which can never be slaked. The soul demands your folly; not your wisdom. 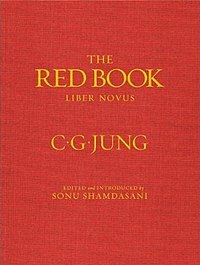 ~Carl Jung, Red Book, Page 264. Previous Previous post: "Called or not called, the god will be there"
Next Next post: "God’ is a primordial experience of man…"